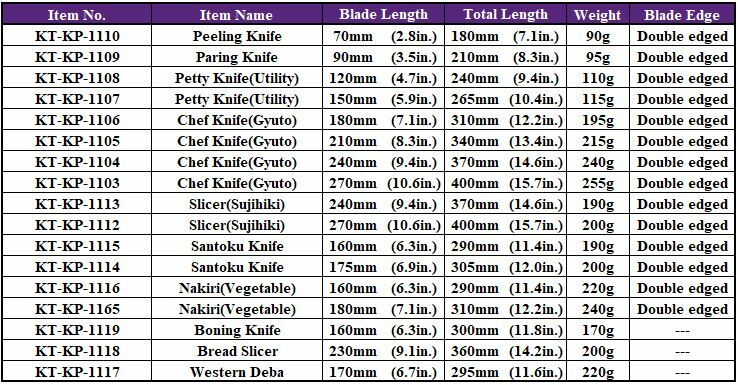 Tamahagane Kyoto Damascus Stainless Knife series are quite high quality, extremely sharp, hard, and durable for professional use. The 63 Layers Damascus and it's beautiful design must impress you by the details of it's well calculated, meticulous design. The Core layer is VG-5, High Carbon Molybdenum Vanadium Steel, is enveloped by 31 layers of SUS410 (13 Chrome Stainless Steel) on one side with soft and hard stainless steel. The powdered steel contains a lot of carbon and has an unprecedented hardness of approximately 61 Rockwell. Tamahagane Kyoto series are distinctive yet classic while fitting very comfortably in your hand. The edge of the blade is hand-finished (fine-grinded by hand) one by one with waterstones. The beveled edge features an angle between 14 and 15 degrees. Features an incredible mirror polish finish with perfect balance between sharpness and strength. 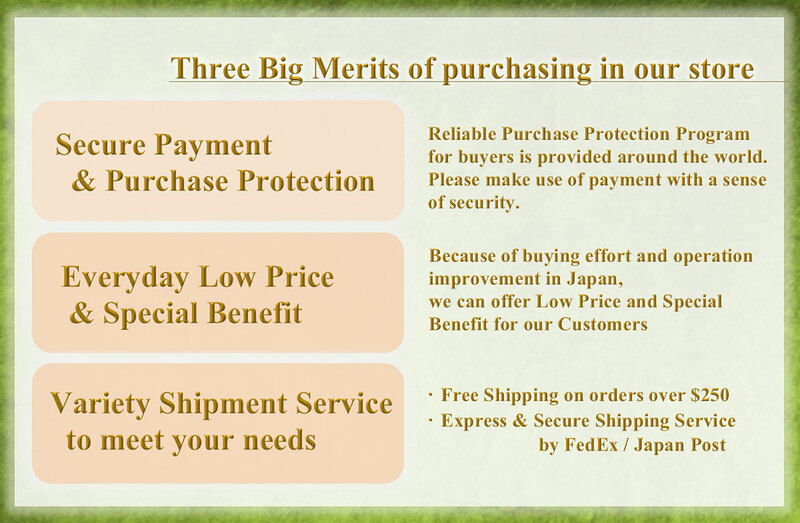 Its handle is so easy to grip and it's weight is very well balanced, that has the Metal Tsuba to fully seal between the blade and the handle, to keep the knife sanitary. The handle is corrosion resistant made from compressed laminated black wood.